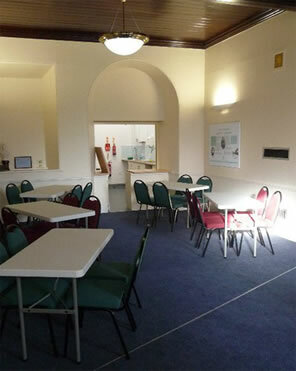 We offer an unusual and elegant venue for your conference or meeting in our historic building. Facilities are modern, of a high standard and accessible to all. 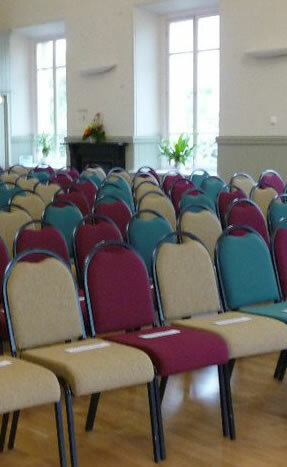 Our attractive main hall is light and airy with views across the Market Place and over the Trent Valley. We have rooms to suit all sizes of events from a small meeting to a large conference. The main hall will seat up to 160. It has a modern sound system, which connects with a hearing loop – we have 4 wireless microphones. It also provides a multimedia system. The small hall will seat 40+. We also have two smaller rooms – both seat 12-16. Our venue is ideal for large conferences which require space for small breakaway groups Our main hall is particularly suitable for exhibitions or demonstrations. We have a versatile stage system of good quality. We also have available – a power point projector and screen, flip charts and a licensed bar in the upper hall. Catering, including coffee and buffets, can be arranged to meet your requirements. 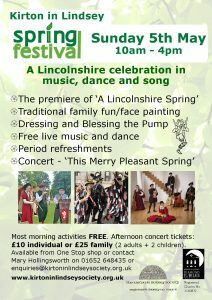 There is a small attractive garden for use as part of the venue. For more photographs please see our online album here. Error: Error validating access token: Session has expired on Saturday, 23-Mar-19 02:32:21 PDT. The current time is Thursday, 25-Apr-19 19:25:27 PDT.